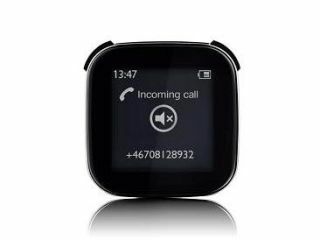 Sony Ericsson has announced the arrival of one of the more intriguing phone accessories we have seen – a 1.3-inch wearable remote control which syncs with your Android handset. Called LiveView, the system consists of a 1.3-inch OLED screen which acts as an external touchscreen for your phone. Powered by Bluetooth, the remote allows you to check incoming calls, any calendar reminders you have and social networking apps like Twitter and Facebook. And if you are listening to music on your Android handset, it will also act as a remote control so you can play, pause and skip your music. Although Sony wants you to use the device with its Xperia range, it does note that you can use LiveView on most Android devices, as long as they are running 2.0 or higher. The Sony Ericsson LiveView has a UK release date of Q4 and will also be available as part of a Sony Ericsson Experience Pack. UK pricing is still to be announced.